Flappy Bird was nothing short of a sensation back at the start of 2014. Created by one man, .Gears' Dong Nguyen, the ad-supported title of pure skill seemed to come from nowhere when it romped to the top of the app store charts. In fact, it had actually been out for a while before suddenly shooting to stardom. 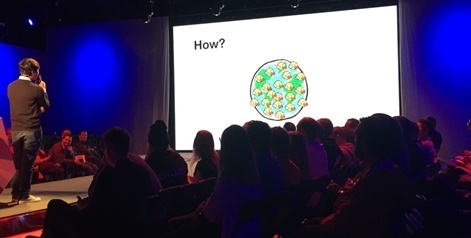 Speaking at RovioCon 2017 in Helsinki, Nguyen said he didn’t actually have the analytics at the time to know just how popular the game had become. His reference, though, was through supported ad impressions. This showed that Flappy Bird was played 20 billion times in February 2014 and downloaded over 90 million times across the App Store and Google Play. As to how it became so popular? “To be honest I have no idea,” he said, sparking a round of applause from the audience. He suggested it could have been because people are too lazy to learn and just wanted something to tap on screen that's good enough to play. Nguyen said that before Flappy Bird, he was studying to be an engineer, but later decided to change his career to make arcade games for mobile devices. Back in 2013, he noted that the top App Store games were titles such as Clash of Clans, Candy Crush Saga and Angry Birds. Many of these top titles, he said, are supposed to be created to support long-term entertainment as a service, with lots of content and a built out meta game. He claimed his limitations however were time, skill, determination and budget. 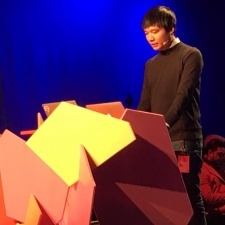 Nguyen already had a day job programming for hardware devices, and didn’t have the proper education about planning and managing a team, so it was better for him to work alone. He also said he lacked the determination to complete games, with many unfinished projects piling up, and did not take making games seriously back then and had zero budget for them. Despite all of this, however, he decided to make games. To finish one, then, he needed to make it small enough to finish. He came up with a few core principles about the game he wanted to make. He wanted it to be cute – inviting to appeal to a younger audience – and easy to start as people don’t have much time to learn to play games. He also wanted to create a game that could be played in one minute, as he didn’t have the determination to make a longer game, and wanted it to be free with ads, admitting he was a little bit scared of taking responsibility for supporting paid users. His expectations were also to make games that were hilarious and highly competitive – specifically made for skill, with no luck involved. With that in mind, he started work on three titles: Shuriken Block, Flappy Bird and Super Ball Juggling. For the development of Flappy Bird, he started with a mini character that he decided to make look round and chubby to create a cute and friendly look - a character that would become iconic for the game. He also wanted the controls to be highly accessible. Having done research and found that console games had a latency of input a little over 100ms, he decided that was too slow for players and brought it down to less than 17ms for Flappy Bird. Nguyen also added a sound effect for each tap to give instant feedback from the player’s input, and decided to create the game in portrait mode to make it easier to handle. After the title released in 2013, it wasn’t until early 2014 that it became a massive hit. As well as receiving adulation, Nguyen also faced criticism, with lots of feedback calling the game terrible and that there were zero design skills involved in it. Other accusations levelled at him were that he cheated the App Store rankings and ripped off other games like Mario because of the pipes. He denied these allegations, and said he put the pipes in simply because they looked good. As for the rumoured lawsuits, they never transpired. After taking lots of criticism and trying to come up with a new idea, Nguyen decided to take a break. He said he didn’t have time to enjoy Flappy Bird’s success when it became popular, but is very proud that the title topped the App Store. He plans to make his return to games though, much like he did with Swing Copters in 2014, and said he’ll hopefully figure out something worthwhile to make his comeback perhaps this year or next year. Another bolt from the blue: Can Swing Copters repeat Flappy Bird's success? Where is mobile gaming’s PlayerUnknown’s Battlegrounds? Does mobile gaming have its Bloodborne?